When we are talking about energy saving and go green for our world, there are many resources which are wasted in large volume and we have no alternative to renew them again for our use. 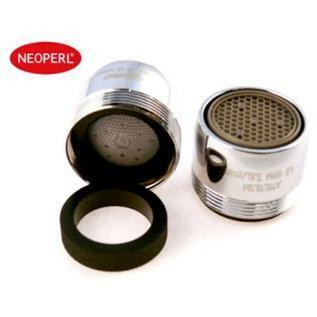 The faucet aerator or tap aerator is a tip of modern indoor water systems used. Without using an aerator, water has tendency to flow with full speed from a faucet. But with a modern aerator, the water is spread by aerator to small drops and it automatically flows out as many water as you require. Also in homes where water pressure is low, the faucet aerator is used to enhance the water pressure and increase the perceived water pressure. The faucet aerators have been certified under US Leadership in Energy and Environmental Design. As short, it is abbreviated as LEED and responsibilities of it are regarding minimization of total water flow for its wastage. To go green, we need to protect our environment and using the gadgets in our homes and outside which are eco-friendly and must save our current resources. Water is among our limited resources and utilizing it efficiently is the only mean of survival for our next generations. However the use of water every day also involves the wastage of this precious resource around the world. Although water and earth day is celebrated every year, but little attention is paid to this issue in deep. This clever eco-friendly gadget is easy to fix in your bathroom or kitchen taps to save extra water and control its wastage efficiently. When a faucet aerator has been used in water tap, it doesn’t mean it will stop the complete supply of water, instead it will provide enough water which you require for washing of your utensils, hand washing or teeth brushing. You may not like the use of this gadget when you have to fill a bucket full or large water pan is required to fill hurry, because you will get reduction in its flow, otherwise a faucet aerator is best for saving large amount of water which is wasted every day.